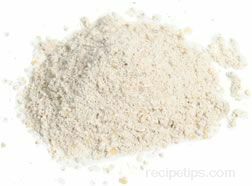 A high protein, gluten-free flour ground from roasted soybeans. 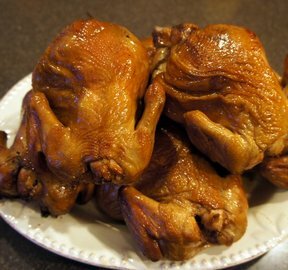 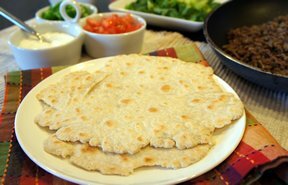 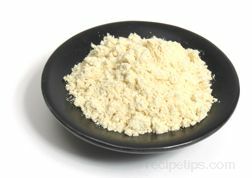 Among the varieties available are full-fat, low-fat, and defatted soy flour. 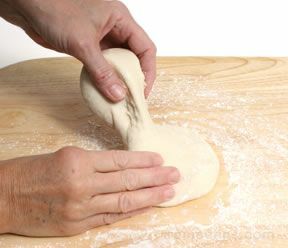 The more fat (in the form of soybean oil) included in the flour, the greater the likelihood that the flour will develop an off flavor if it is not stored properly. 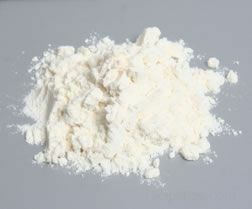 It is best to store full-fat soy flour tightly wrapped in the refrigerator or freezer. 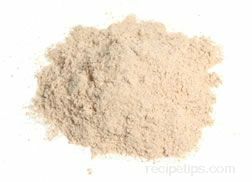 Soy flour is high in protein and it can be added to wheat flour when making baked goods to boost the protein level of some products. 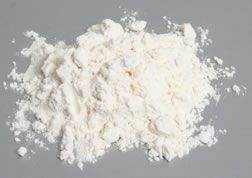 It contains no gluten, so it cannot replace wheat flour entirely in baked goods. 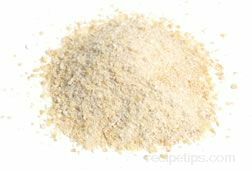 It is best to substitute no more than 25% to 30% of the total volume of wheat flour with soy flour to ensure the best results when baking. 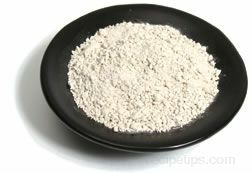 Soy flour is available in many large food stores as well as natural food and health food stores.